The eyes of the world will be on Prince Harry and Meghan Markle as they tie the knot in a few weeks time. Many will be looking to celebrate the momentous occasion and hold a royal celebration of their own. With the May bank holiday nearing, what better time to have a get together! In order to get your garden gleaming for the special event, cleaning specialist Jeyes, who aptly carry the Royal Warrant, has shared some top tips on hosting the finest royal knees up. Party prep – Whilst your garden may not be as sizeable as the grounds of Windsor Castle, it doesn’t mean you shouldn’t pay close attention to the space you do have. Ensuring all areas are cleaned before the big event will make guests feel at home. Make sure the lawn has been mowed, dust off the garden furniture and treat any paved areas for dirt, mould and algae. Jeyes 4 in 1 Patio Power removes stubborn stains in no time and kills 99.9% of germs. Floral fantasies – Flower arrangements for the Royal Wedding are rumoured to focus on flowers in season this May. So why not get busy planting a beautiful bouquet of your own this spring, choosing blooms like peonies, white garden roses and foxgloves. Your guests are bound to be impressed by how bright and full of life your garden will look. Food fit for a queen – As much as your food choices for guests are important, so is your cooking equipment! Whilst your menu might not match up to that of the couple’s wedding breakfast, if the weather holds out, why not host your first barbecue of the year? 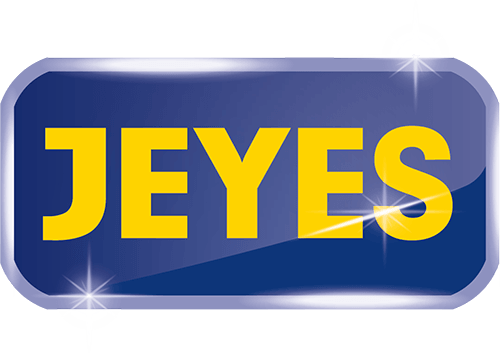 To make sure your barbecue is ready to go, try Jeyes Smart Brush Barbecue Cleaner for fast acting results. The concentrated gel formula effectively removes burnt on food and rapidly kills 99.9% of barbecue germs. Pretty palace – To get into the true spirit of the regal festivities; consider sprucing up your outdoor space with some themed decorations. British flag bunting, throne seat covers and red, white and blue table decorations are just a few ideas to get you started. Why not get the kids involved and create your very own royal invitations and paper crowns to hand out to guests before the party.